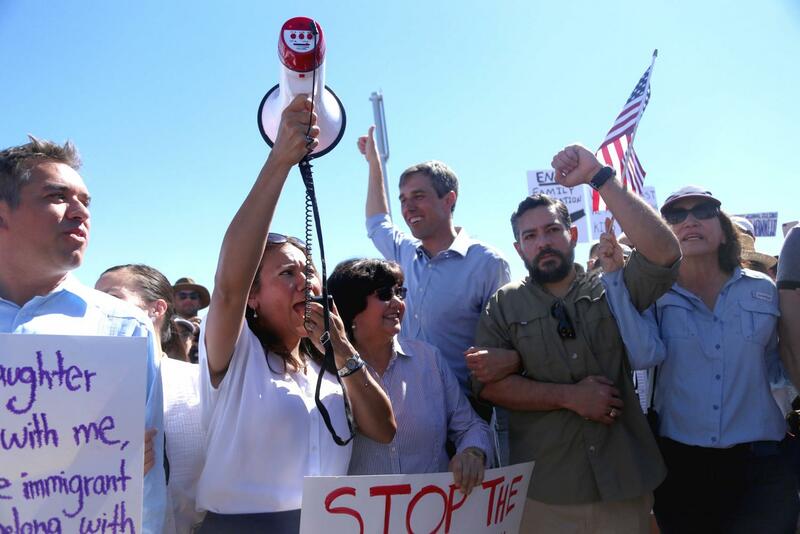 Congressman Beto O'Rourke and his supporters lock arms and march to the Tornillo Port of Entry on Sunday, June 17. 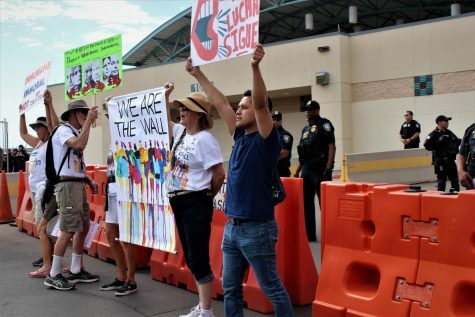 People from all over the country arrived en masse at the Marcelino Serna Port of Entry in Tornillo, Texas, on Father’s Day, June 17, to express outrage over the separation of immigrant children from their parents. Vehicles lined the road as far as the eye can see as several hundred supporters stood under the Texas heat in the desert right outside the border, where undocumented minors are being housed in what is known as tent city. 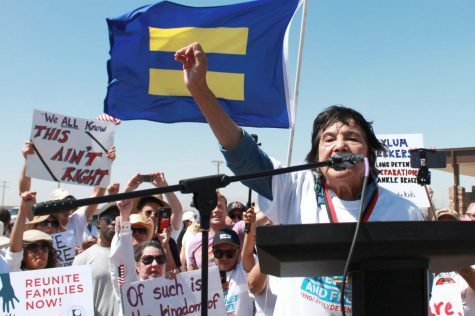 U.S. Rep. Beto O’Rourke, D-El Paso, led the March to Tornillo alongside other local leaders and activist groups. 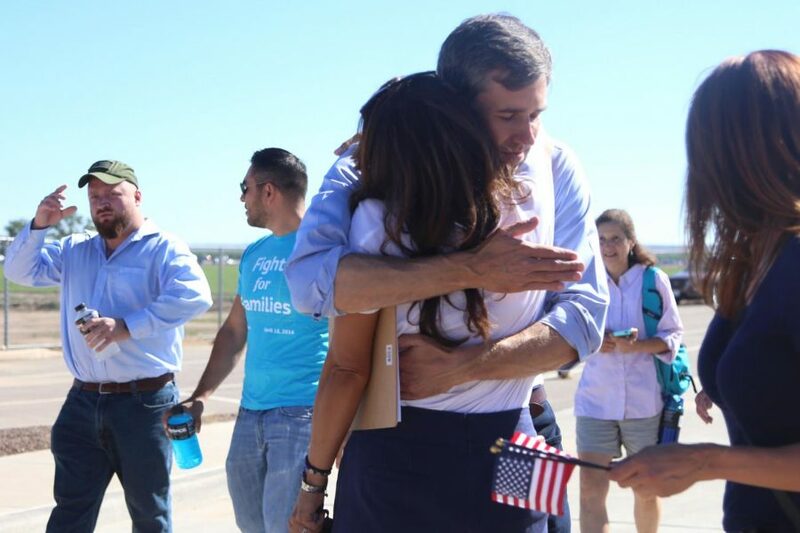 Congressman Beto O'Rourke hugs Veronica Escobar before they start marching on Sunday, June 17. 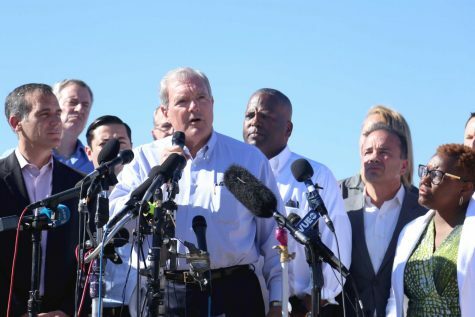 Former El Paso County Judge Veronica Escobar, who is running for Congress as a representative for El Paso, was also present as she stood with O’Rourke to lead the way. 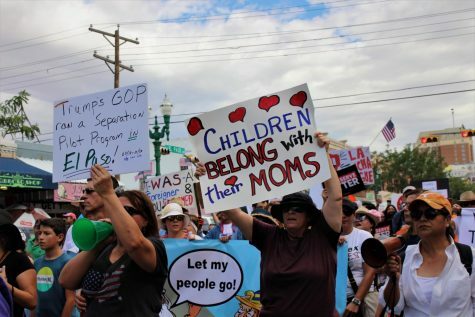 Demonstrators from various parts of the country including California, Utah, Arizona, Florida, New York and more showed up with signs in hand, waving American flags and linking arms to let lawmakers know that they demand a change in policy to stop separating children from their parents at the border. They were joined by U.S. Rep. Joe Kennedy III, D-Mass, who surprised the crowd during the rally and gave a speech of his own. “On Father’s Day we recognize that universal truth, that humanity does not come with citizenship or with a green card,” Kennedy said. Kennedy traveled to Texas to participate in the demonstration and in an effort to see the conditions the children are living in. According to his Twitter account, he attempted to visit the facility but was denied entry. “This is pure inhumanity on behalf on the Donald Trump administration to try and take out their frustrations on children,” said Kennedy. 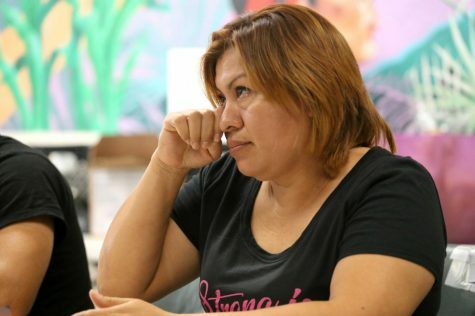 On Thursday, June 14, the U.S. Department of Health and Human Services confirmed that Tornillo was selected as a site to house undocumented children who are separated from their parents under the Trump administration’s “zero tolerance” policy. According to O’Rourke, there are up to 200 teenage boys already being housed in the detention center made up of tents. He said that more minors, primarily from Central America, are expected to arrive in the coming weeks as the HHS is preparing to erect 4,000 beds in tent city. This is not the first time that migrant children have been housed near El Paso. 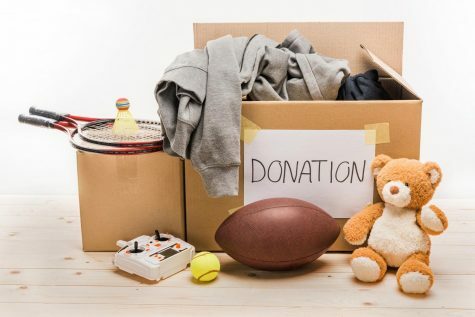 Back in 2016, nearly 500 undocumented children were living in a temporary shelter at a Fort Bliss Doña Ana Range Complex near Chaparral, New Mexico. 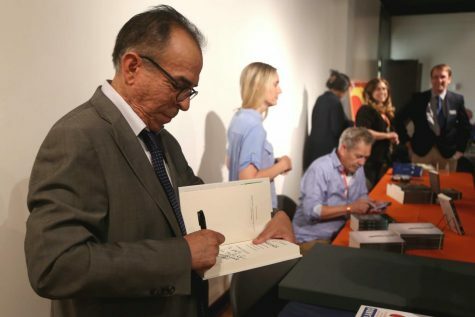 They arrived in the U.S unaccompanied or were separated from their parents who were seeking asylum after crossing the border illegally. 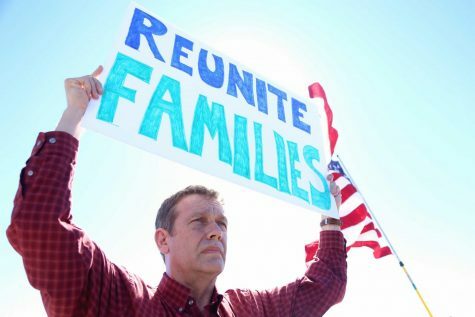 Another march for immigrant rights and family separation is being planned by the Border Network for Human Rights and is expected to take place at 9 a.m. Tuesday, June 19, at Edgemere Linear Park. For more information, visit https://www.facebook.com/events/1500621460043306/.